When he'll have proposed to every girl in campus, what will he do then? Huh?! Or Eun Taek? So Eun Taek will stop harass him? WHO KNOWS?! Part of the chapter cuts off for me when I use the translator. When I don't translate the page it's fine, but half of it disappears when I try to translate it. Any idea what's up? I just deleted and replaced the translator on my bookmark bar but it didn't help, and have tried reloading the page. New chapter! Totally made my day~ Thank you! Ah really, thank you so much. I love you. I have an idea why Anonymous, this chapter and a few following this one have very long images (usually, a chapter is cut in 20 or 30 images, but this one only in 3, so the images are ten times bigger). Do you have any problem viewing the first chapters? (try somewhere between S1C02 and S1C30). They are long aswell, but treated differently. If those work for you, I'll just make the current long chapters work like the first ones. Hello, this chapter wouldnt work for me, when i click on overtooning the whole chapter is blank, is there anyway to fix it ? and tell me if that one works. Thank you for your work with translating! The chapter you posted is also not working. I remember them working when I read them the first time, but that was a long time ago. Thank you for the insight on the issue, though! Ok I've added a fix. If you use the userscript ("plugin"), make sure to refresh it in your userscript manager (check for updates). Thank you so much for the fix, Doonge! Everything's working fine now! Thank you for your hard work!! Thankyou so much!! 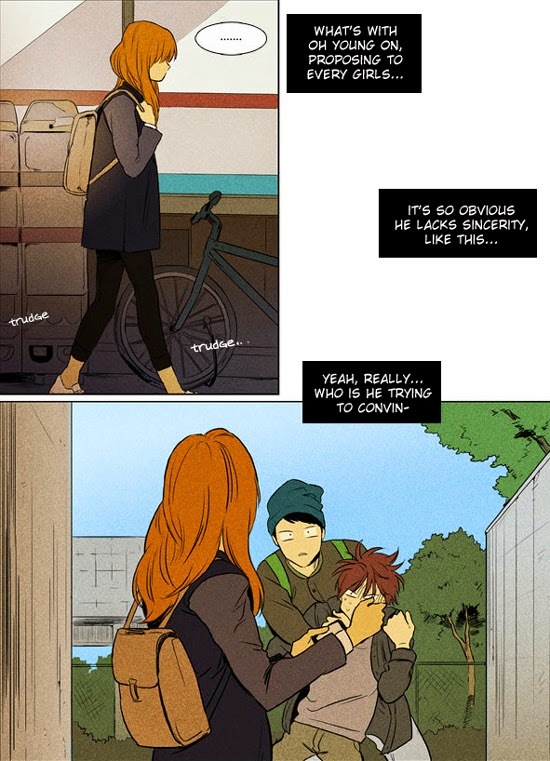 You didnt know how much I love this webtoon and how grateful I am to you guys who worked so hard to translate this. Please please keep it up.. I love you guys! Gomabseubnida! Hi...the translation is a bit off when i access using android. Can someone help me out? Thanks for the feedback Cik Atun, it should have been fixed (we forgot to adapt for Android in this particular chapter).